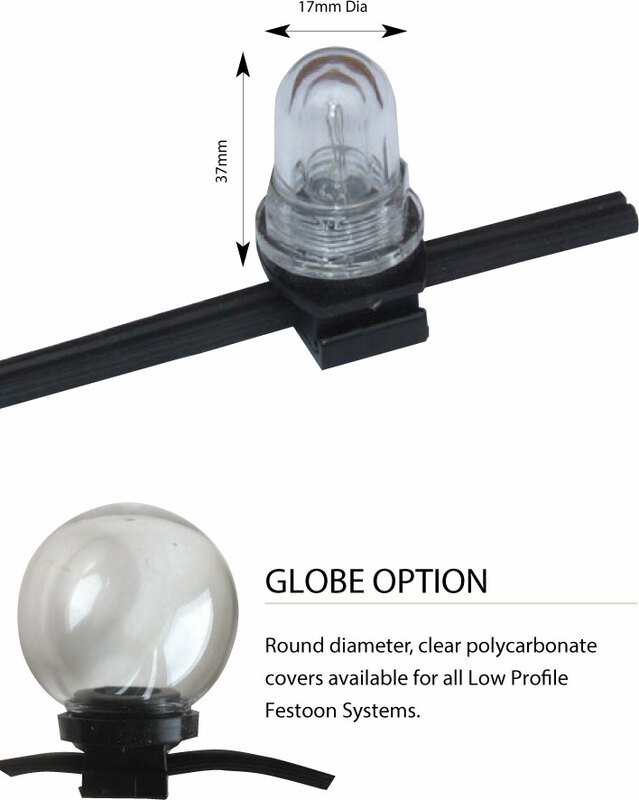 A high quality, fully weatherproof system comprising of a flat twin HPN insulated cable on which moulded light units are attached at predetermined centres providing flexible lighting for a variety of decorative purposes. The lights operate at extra low voltage for safety and efficiency. The system is particularly un-obtrusive when not in use. The extensive range of Lumisphere® weatherproof transformers which provide the power source enable the power to be correctly matched to the number of lights ensuring exceptionally long lamp life.